It's finally official: the new season of MST3K, The Gauntlet, will make its debut on Thursday, November 22nd! Exclusively on Netflix in the United States, Canada, United Kingdom, Ireland, Australia, and New Zealand, the date marks the 30th anniversary of the show, which premiered on Thanksgiving Day 1988 on KTMA in Minneapolis. Creator Joel Hodgson oversaw the new season as an executive producer and co-director, supervising and participating in all facets of production. 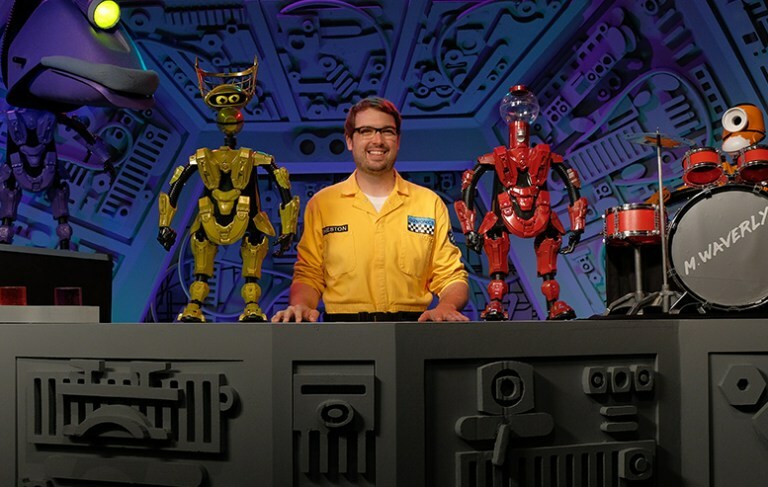 The entire featured cast will be returning, with comedian Jonah Ray as the host (“Jonah Heston”), actress and comedian Felicia Day as the Mad (“Kinga Forrester”), actor and comedian Patton Oswalt as the evil henchman (“Max”), and comedians Baron Vaughn and Hampton Yount as the voices of “Tom Servo” and “Crow T. Robot,” respectively. The new season will feature six episodes of newly riffed cheesy movies and is perfect for binge-watching. Mark your calendars, MSTies! Take a look at The AV Club's exclusive scoop from this morning.